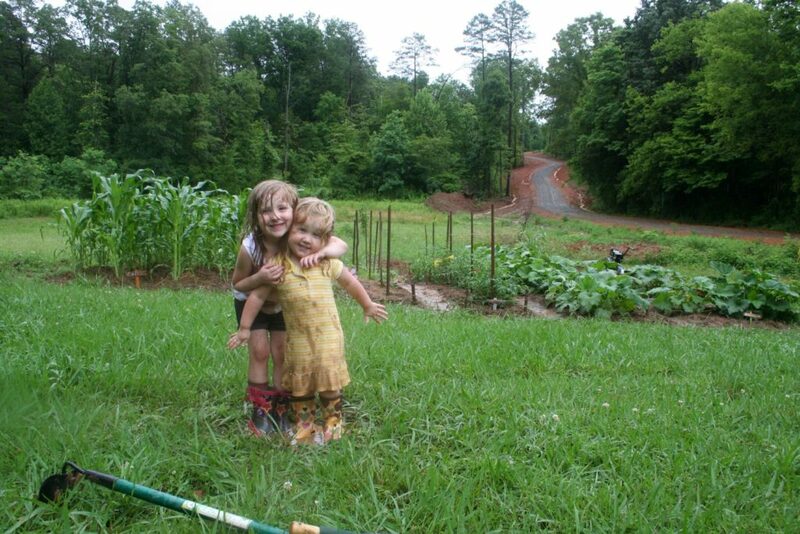 In the years leading up to our move to The Givens Grove, I had read book after book on homesteading, organic gardening methods and the like. Never once actually getting to implement these awesome ideas floating in my head! I would live vicariously through frequent visits to my Pa’s mountain home. He always had something going on in his garden and mini orchard. That man is where my desire to grow my own food came from, and I am forever thankful. Just before moving here we lived in suburbia. But even then, I was bound and determined to have a garden. Even though our subdivision lot did not allow a lot of space for a substantial garden (it almost touched our neighbors back yard) anything was better than nothing for this girl. It was so therapeutic just to get my hands dirty. Our house sold that winter and I was sure that was the last of my gardening days. Man, did I get that wrong. Our God is a good God, and he knows the desires of our hearts. Chad and I prayed for property where we could have chickens, with flat land for the kids to play on, woods to explore and nice neighbors with children for our girls to play with. We weren’t asking for much. Alright, we were asking for the moon and the stars, but God was so good to answer each prayer to the fullest. We moved to what we now call “The Givens Grove” in January. A garden was one of the last things on my mind amongst the chaos of moving. Once spring hit though, I couldn’t wait to get started. The first year we were able to get a pretty manageable 30×20 garden going with the help of neighbors. But oh the weeds you have to fight when you try to turn a field into a garden. I am a perfectionist to a point, and weedless gardens with perfect paths are like heaven to me. Lets just say I have not had a “heavenly” Jessica garden yet. But, I aspire to one day have children that are self reliant and able to not die if mommy takes a much needed break to the gardens. 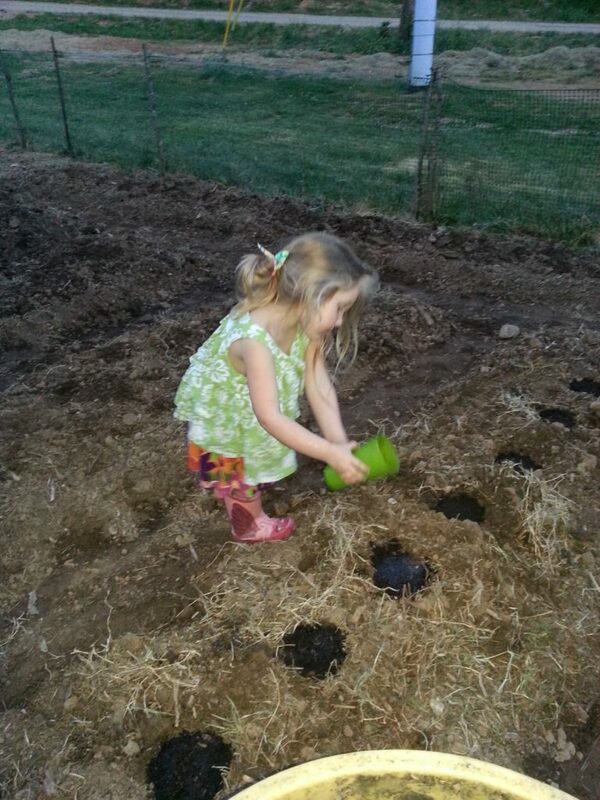 One day…..
Our second growing season started off great! 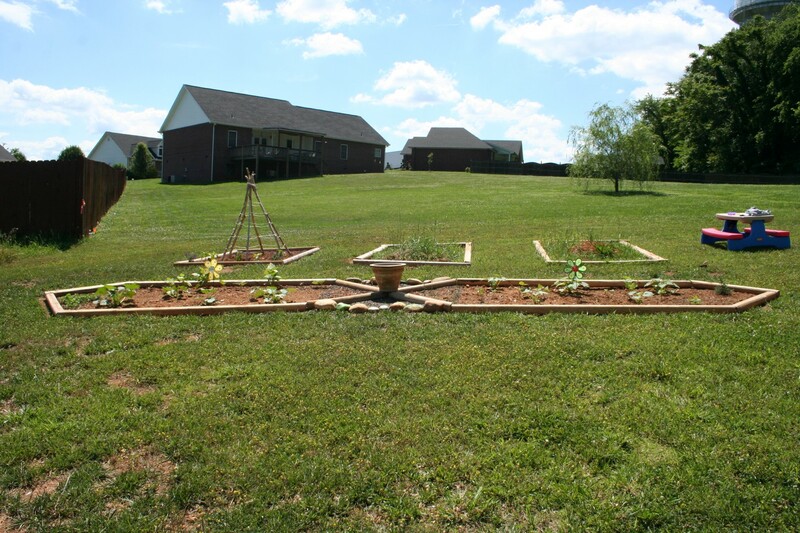 With the help of neighbors we put a ton of work into doing a lasagna garden that Chad and I had both read about and thought would be of great use in turning a field into a garden. We ended up with a 30×90 area where we trucked in loads of horse and cow manure, coffee grounds from Starbucks, tons of leaves from the woods, chicken manure and old hay. We layered all that together, hence the name “lasagna garden.” Covered every square inch with cardboard (AKA the weed killer). Then we topped it off with wood mulch we got for free from the awesome electric company guys working on our road! The year started out great!! And the cardboard and mulch did an amazing job of combating weeds. About halfway through the growing season we found out we were going to be blessed with an addition to our family!! Four would become five! We were so excited. The truth of it is, most of the summer I basically lived my life on the couch trying to survive another day of morning sickness. 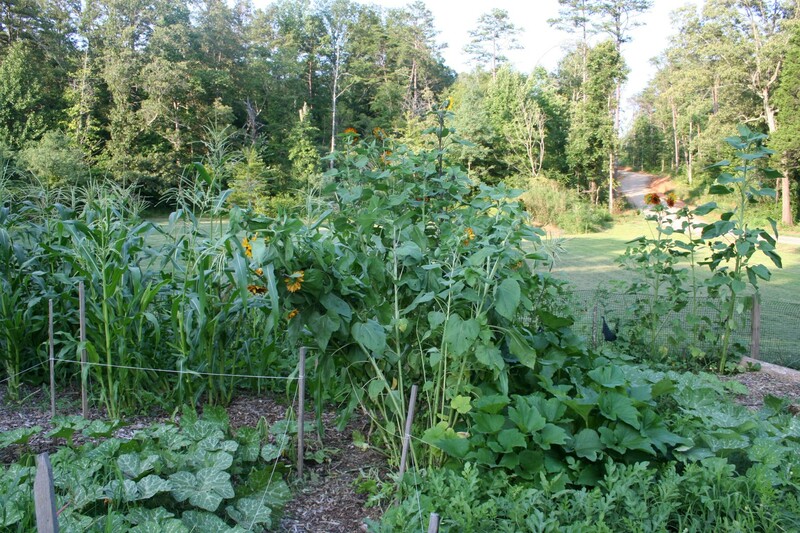 I cannot even begin to tell you how many pounds (most likely in the 100’s) of garden awesomeness went to the chickens. I couldn’t stand to look at it, let alone do all the canning and preserving I had so wanted to do. That year wasn’t a total loss, we learned a lot and I was able to get out and harvest quite a bit even at the end of the season. Our sweet Logan was born in March. I knew leading up to his arrival that if we got one vegetable out of the garden we would be doing well. I was in charge of the garden since Chad had started a new job working long hours. 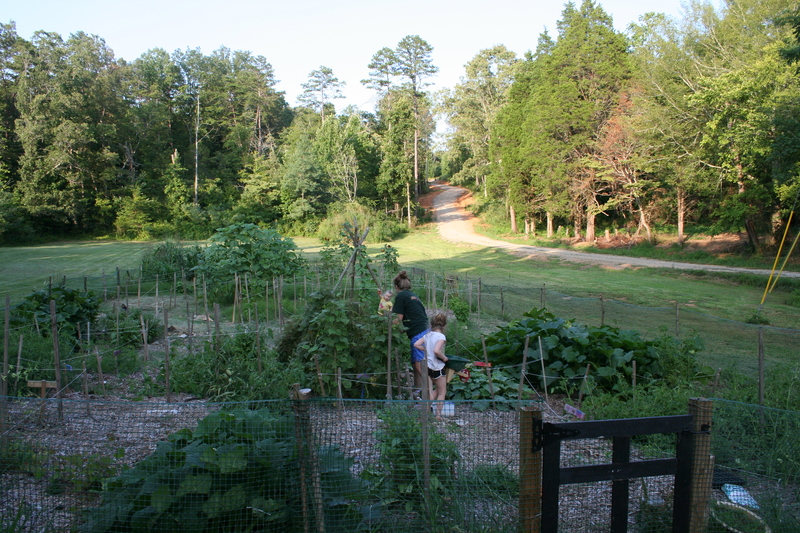 Between homeschooling a 2nd grader and kindergartner with a newborn, I knew the garden is what would take a back burner if it had to. And my friends, it had to. 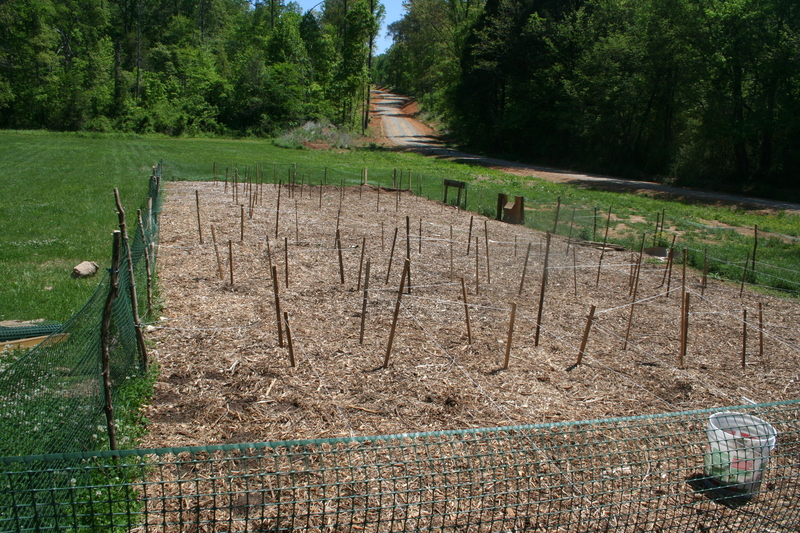 I think if we had done another layer of cardboard and mulch for another season or two, the weeds would have been totally controlled. Mama was major prego; therefore, that job did not happen. So we planted maybe the first 30 feet last year. I had good intentions. But the weeds, man….they were something horrible. So horrible, I don’t have a single picture of the garden from last year other than the day we planted. Trust me when I say after planting 20 some plants, potatoes and onions….we got two harvest of okra and two harvest of purple green-beans. That was it. By the end of June the weeds were taller than I was. I wish I was joking. Just looking in the direction of the massively over grown garden would make me want to hyperventilate. Probably why there are no pictures to be found. Remember, I like picturesque, weed free paths. It was far from picturesque. In August a neighbor was kind enough to lend their tractor and shredder to Chad so he could put the garden out of its misery. The stress off my shoulders after that day was tremendous. Seeing the garden like that helped me to realize, that I had bitten off more than I could chew. And that is okay. We aren’t suppose to do everything perfect the first time. 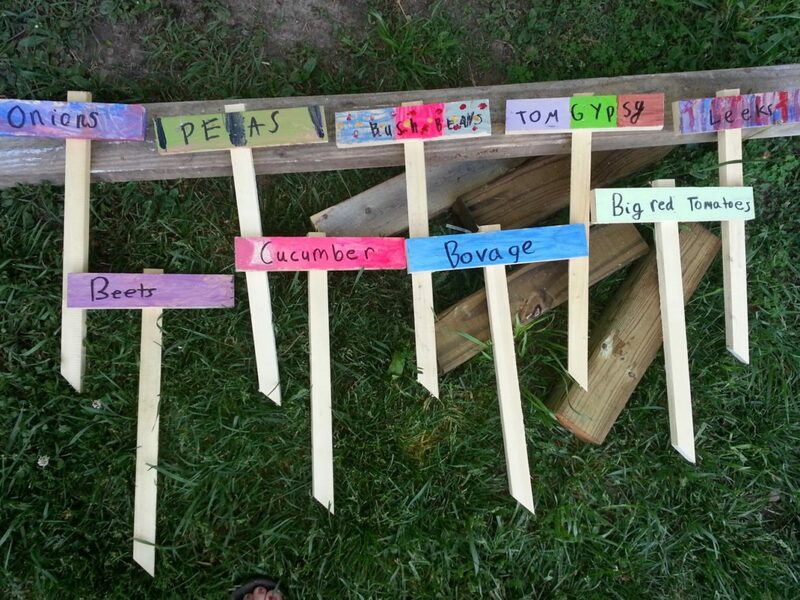 We learned so much about how to grow our soil instead of take from it. That alone was worth the effort. This year we have gone a totally knew route. One that will hopefully help me combat the weeds a little better. More to come on that soon!